This Funder Tool Kit specifically highlights Private Foundations. It includes priorities, funding opportunities, proposal guidance, and additional resources. The Funder Tool Kits are a collaborative effort between the UCF Libraries and OR Research Development Team. Foundation Center’s Philanthropy News Digest - A daily news digest containing philanthropy-related articles and features culled from print and electronic media outlets nationwide. Foundation Center’s Philanthropy RFPs – posts requests for proposals (RFPs) submitted by grant makers. Foundation Directory Online – provides the ability to search for grant makers nationwide. For free access, sign up and go to Quick Start". For subscription access, please contact the Private Foundation POC at UCF . Guidestar – provides the ability to search for foundations using keywords. Top Giving Florida Foundations - these foundations issue RFPs or are interested in receiving grant proposals. Community Foundations in Florida - learn about community foundations in your area. Many community foundations provide technical assistance to nonprofits and support many types of activities. Pivot – provides the ability to search for only private foundation grants using keywords and other filters. Please contact the Private Foundations POC at UCF for copy of document/s you want to view. The OR Research Development team maintains a library of internal/external submitted proposals and can assist with securing a sample of a funded UCF proposal to a private foundation. Contact Madhavi (Maddy) Chokshi for more information. Red flags for reviewers – Grant makers share their insights and advice on proposals. The OR Research Development Team can provide support with proposal coordination, templates, samples, supplemental documents, reviews, and more. Visit our website for more information. Contacting private foundations is different from contacting federal and state sponsors. Some foundations prefer that individuals do not contact them directly, but prefer the contact is made through the institution's Development Office (UCF Foundation) and Sponsored Programs office. Please contact Madhavi (Maddy) Chokshi at the Office of Research to coordinate reaching out to a Foundation. Approaching Foundations - guidance on how to approach a foundation and build a successful grantee-funder relationship. This is a Limited Submission program and all submissions to the internal competition MUST be coordinated through the Limited Submission Research Coordinator (limitedsub@ucf.edu). Initial contact from a university must be coordinated through the institution's central research office via the designated official institutional liaison. UCF’s designated liason for the Keck Foundation is Mr. Pallavoor Vaidyanathan at the Office of Research and ONLY THIS INDIVIDUAL may contact the Keck Foundation. DO NOT CONTACT the Keck Foundation directly at any time- either to ask questions if you are planning on submitting a proposal or as the designated principal investigator that has been selected to submit a proposal to the Foundation on behalf of UCF!!! A Principal Investigator who has been given permission by the Office of Research as UCF's nominee to submit a proposal to the Keck Foundation may contact the Foundation staff during the pre-application counseling period, which takes place between January 1 and February 15 leading up to a May 1 Phase I submission or between July 1 and August 15 leading up to a November 1 Phase I submission. Designated applicants are encouraged to submit their ideas for grants to the Foundation in the form a single-page concept paper during the pre-application counseling period. However, please do not submit the concept paper directly to Keck Foundation! Please contact UCF's institutional liaison, Mr. Vaidyanathan, to coordinate submission of your concept paper and scheduling of a conference call. Only one conference call will be scheduled for each institution to discuss all concepts. This is a Limited Submission program and all submissions to the internal competition MUST be coordinated through the Limited Submission Research Coordinator (limitedsub@ucf.edu) and the designated institutional contact person. The UCF contact person for the Moore Foundation is the OR's Assistant Director, Pre-Award, Jo-Annette Perez Chacon. As UCF’s designated contact person, Ms. Perez Chacon is approved by and authorized by the Moore Foundation to receive correspondence from the Foundation and Ms. Perez Chacon is the ONLY university personnel who can submit UCF’s nominees for this program. Please DO NOT CONTACT the Moore Foundation directly at any time. The term 501(c)(3) refers to tax-exempt, charitable organizations that have been recognized and approved by the Internal Revenue Service. Charitable organizations typically have purposes that fall into categories benefiting the public good. The Internal Revenue Service recognizes a variety of nonprofit organizations, not just 501(c)(3) groups. Examples include private foundations, social clubs, veteran’s organizations, and business leagues. Charity is a broad term many use when referring to nonprofit organizations. However, not all nonprofits are charities. A charity holds legal 501(c)(3) recognition from the IRS. By definition, all organizations that qualify for 501(c)(3) recognition are considered private foundations until they meet the IRS’ public charity public support requirements. Private foundations are nonprofit organizations funded by a single source, such as a family donor, who conduct a range of charitable, religious or educational activities. Nonprofit and not-for-profit are terms often used interchangeably, but not-for-profit should typically only be used when referring to an activity, such as a recreation or sport. The term nonprofit denotes an organization focused on larger social or public issues. UCF Foundation (UCFF) and Research Foundation (RF) are not the same entity. UCFF is the official fundraising arm and gift beneficiary of UCF. All proposals can be submitted through UCFF if they 1) do not have specific sponsor criteria; 2) are not programmatic; 3) do not have deliverables; and 4) are funded through a gift/donation. 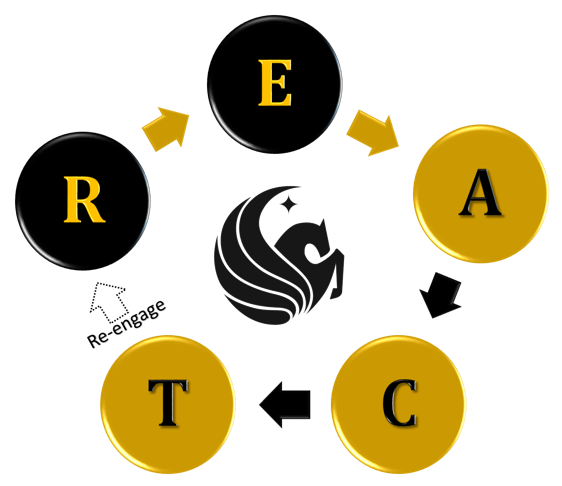 RF is a 501(c)3 organization, and is a direct support organization to UCF. Its mission is to support the research and sponsored program activities of faculty, students and staff. This point of contact is very familiar with Private Foundation opportunities and can give helpful advice to increase the competitiveness of your proposal. The OR Research Development Team would be happy to help search for potential collaborators at UCF. Visit our website for more information.